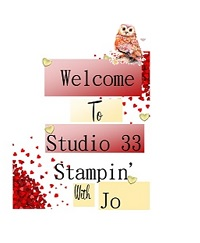 Studio 33: Only 6 Days Left of Sale-a-Bration!!!! 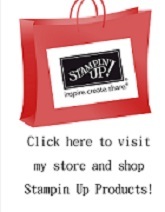 Only 6 Days Left of Sale-a-Bration!!!! I am back after these past two weeks! I have had a couple of things going on that kinda kept me from doing what I love. I had a surgical procedure done on my spine on the 14th and that did not feel so great. And in a couple days on the 27th, I have to go back and have a second procedure done, again on the spine. I have a lot going on with my back but basically, the bones are decaying and the disks are slipping on top of one another and it's going to cripple me and take away my mobility. I've known this for years now but it's finally getting to that point and so now the procedures are necessary. In addition to that, I had some computer issues. My new laptop (just got it in January), started to make a light beeping sound and then one day it just stopped working. I had to take it into the shop to be looked at and I still was able to get online with my Iphone but I couldn't post with it. I cannot work that way on such a small screen and I hate not having as many tools available to me when on a phone so I wanted to wait until I got my computer back. And so I got it back Friday and it's back to working again! I was told something went wrong with the processor. Thankfully I'm back up and running! 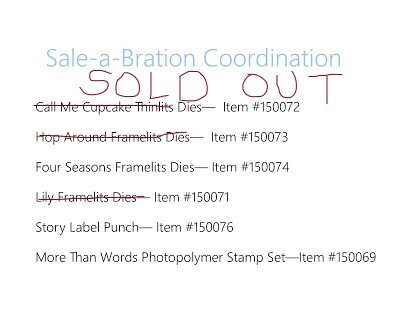 I just want to take this time to let you know that there are only 6 more days until Sale-a-Bration ends! Sad!! We all love this amazing sale each year but sadly the end is near. 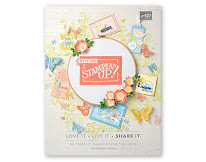 If you are still sitting on the fence about joining Stampin' Up!, now is the time to JUMP IN! 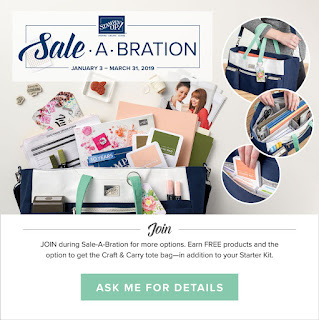 Remember the Craft & Carry Tote is only available if you join my team and in addition you will be able to choose $175 in products of your choice Plus get the FREE SHIPPING! 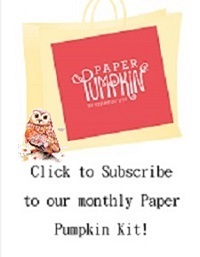 All you need to pay is $129 or you can choose the regular start-up kit without the Craft & Carry tote for $99 plus the free shipping. Either way, now is the time to act because March 31st is the last day to take advantage of these amazing deals and sales. 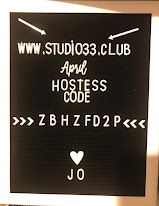 Also I have some updates to share. The Country Floral Dynamic Textured Impressions Embossing Folder is being carried over into the new annual catalog!!!YAY! 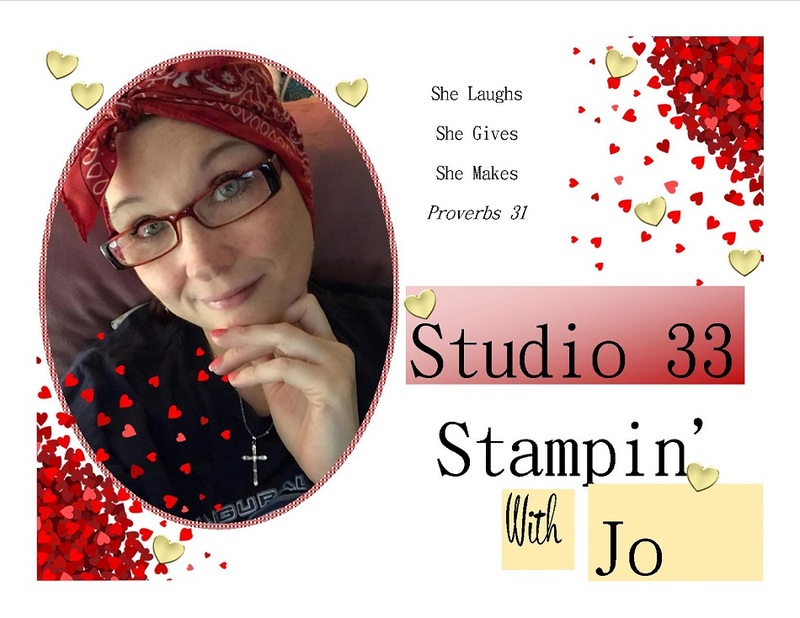 This is definitely a favorite of mine and I know so many of you love it too. So if you haven't gotten it during SAB, no worries. You will be able to get it in June! The Bunny Builder Punch #147039, The Lily Framelits Dies #150071, the Hop Around Framelits Dies & the Call Me Cupcake Framelit Dies #150072 are now sold out and gone. 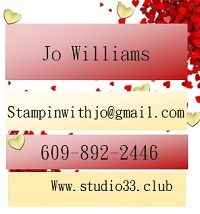 They were so popular that Stampin' up! has gone through their entire predicted forecast for these items. 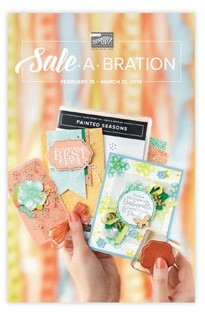 But there are still a lot of beautiful products that you can choose from for Sale-a-Bration with your qualifying order. 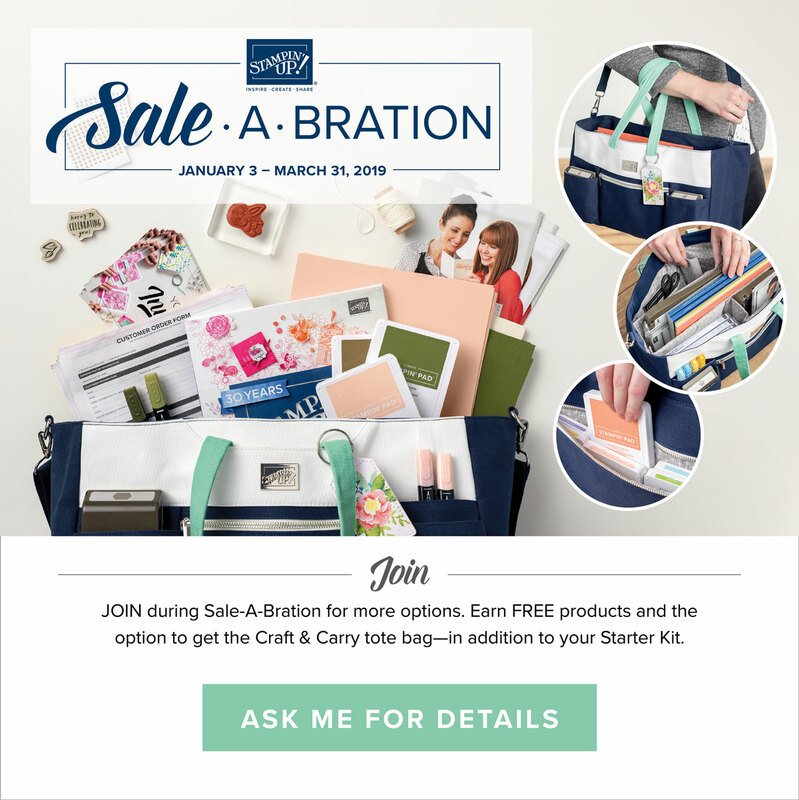 Also keep in mind that our Sale-a-Bration Coordination products are still available while supplies last, except for the The Lily Framelits Dies #150071, the Hop Around Framelits Dies & the Call Me Cupcake Framelit Dies #150072.